Player Communities are user-hosted channels that provide a space for members to post and share content with each other. They can be accessed in the Communities section. The left panel displays a list of every community you&apos;re currently a member of. Selecting any of the listed communities will take you to that page. You can also click the + (Plus) button, which allows you to join other communities or create one yourself. This guide will show you how to join a community and how to create and manage your own community. To join a community, go it&apos;s page and click the Join button on the top corner. If it&apos;s a closed community, click the Request to Join button. You will need to be approved first to be able to post in the community. You can also join communities in the Discover page by hovering over the community&apos;s card and clicking the Join Community icon. Use the Update Box on top to post and share content. You can also click the + button at the bottom corner to pull up the Update Box. Posts will be added to the feed below. Some communities will have more than one feed, which users can switch between and post in. Only admins of a community can add more feed channels. To create your own community, click the + (Plus) button on the left panel to go to the Discover Communities page. Then click the button +Create Community button on top. Here, set your community&apos;s initial details such as community name, icon, background, visibility, and membership. Once your community&apos;s been created, you will also become it&apos;s admin. 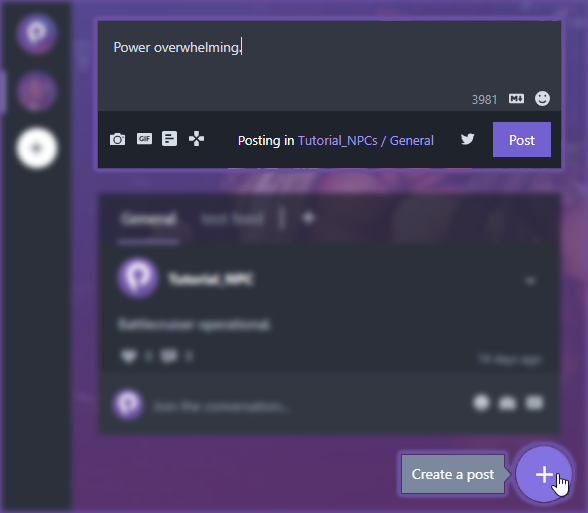 As an admin, you are able to Invite Friends, add feeds, manage posts, and manage the community. To add a feed, go to the Feed section and click the +(Plus) icon. 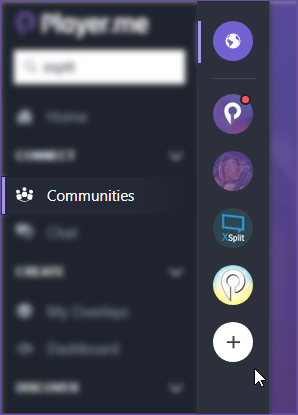 Clicking the Manage button on the top corner will take you to the Community Management page. General Info - Allows you to set your community&apos;s name, background image, visibility, and membership settings. You can also Archive this Community, which will permanently disable and render the community inaccessible. Members - Lists every member currently in the community.